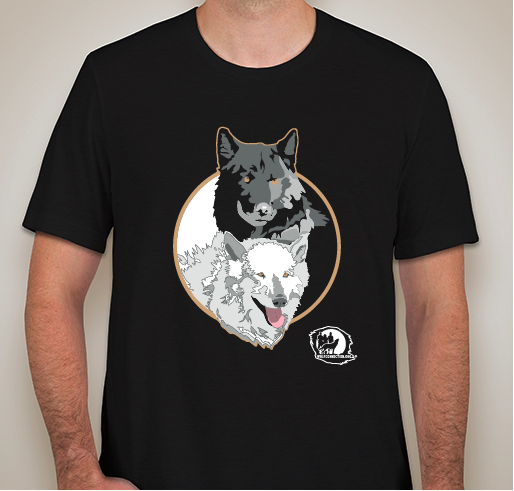 Purchasing a 2018 Limited Edition T-shirt supports our Emergency Veterinary Care Fund and the Wolf Connection wolf pack. 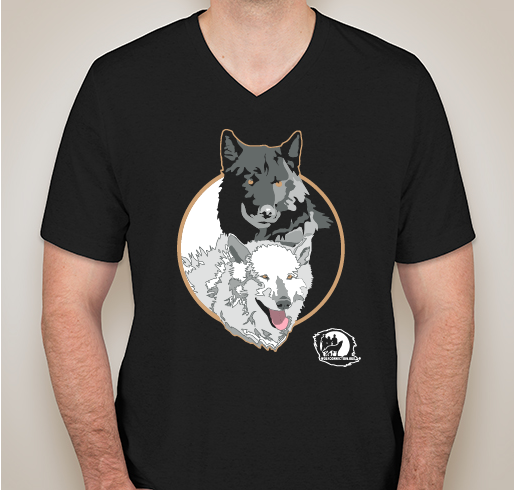 The 2018 edition commemorates Ozzy and Kenai - the yin and yang between the elders who have passed and the rising young pack members..
All funds raised will go directly to Wolf Connection . 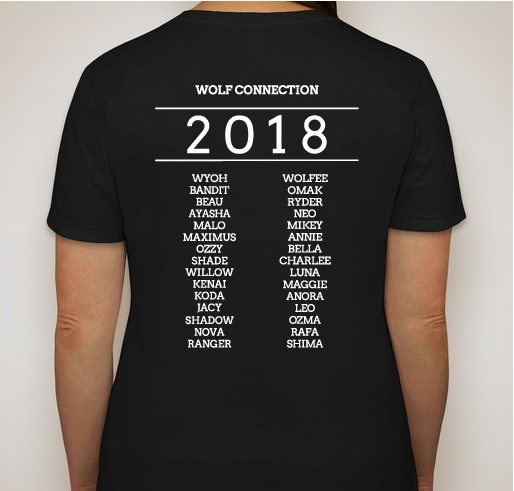 First and foremost, Wolf Connection is a youth education and empowerment program, with rescued wolves and wolfdogs as the centerpiece. With the help of the animals, young men and women reconnect with nature, learn to be of service by responsibly caring for another being, and work towards becoming the kind of person they want to be. The animals help them focus on their impulses, feelings and emotions in a constructive way; they learn to forgive and give others (and themselves) a second chance. They also reflect on, and learn about, loyalty, honesty, integrity, courage, contribution to society, commitment, sense of purpose, and self confidence. 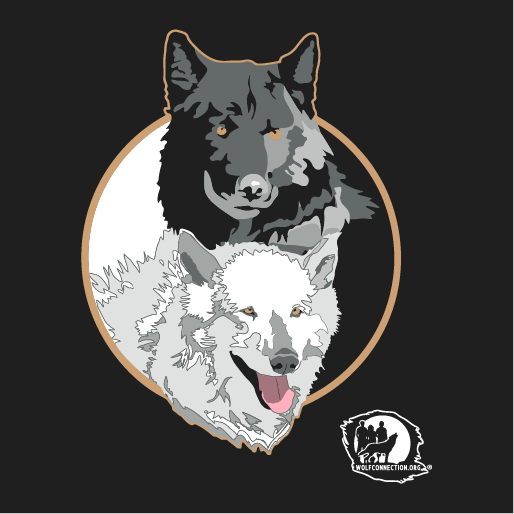 At our ranch in Acton, California, we maintain a pack of 30 wolfdogs who work with at risk youth in the Los Angeles area. 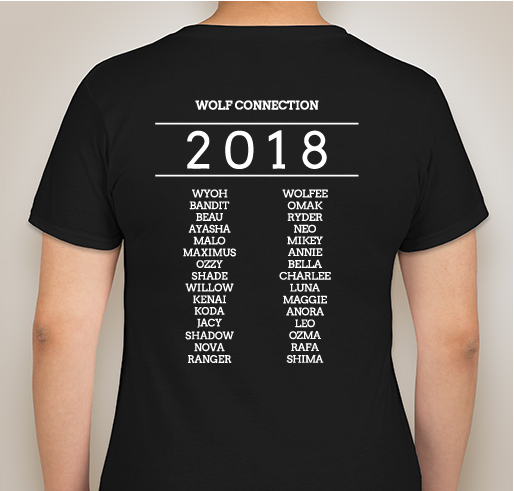 My two granddaughters, Helyn and Sophie, loved coming to Wolf Connection. 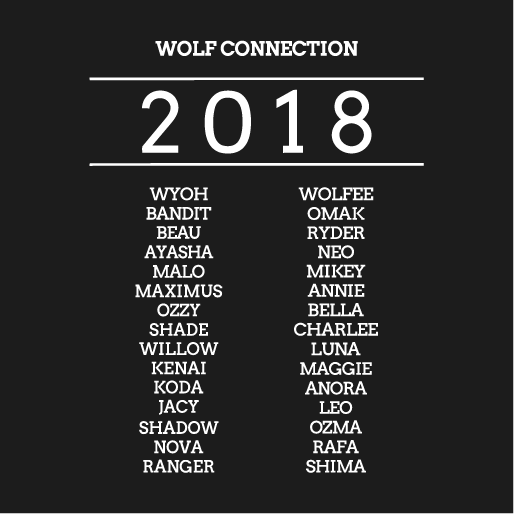 My guess is that they will be back again. This is a great cause. 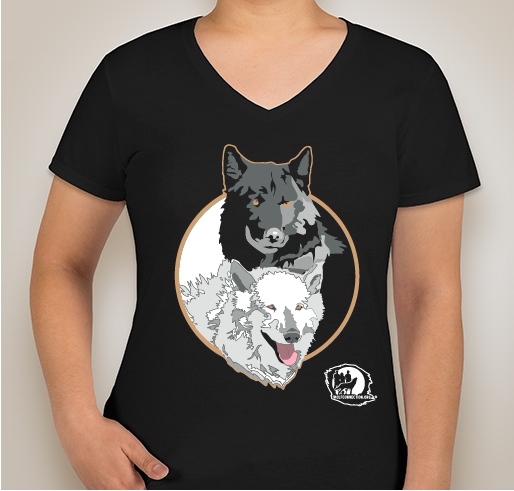 Love what your are doing with this majestic, beautiful animals. 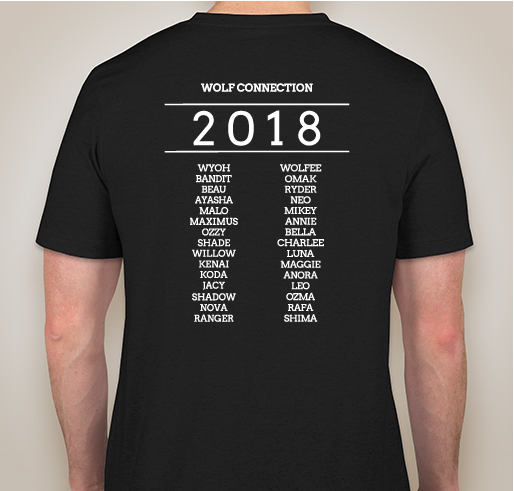 Share Why You Support "Wolf Connection 2018 Limited Edition T-shirt! 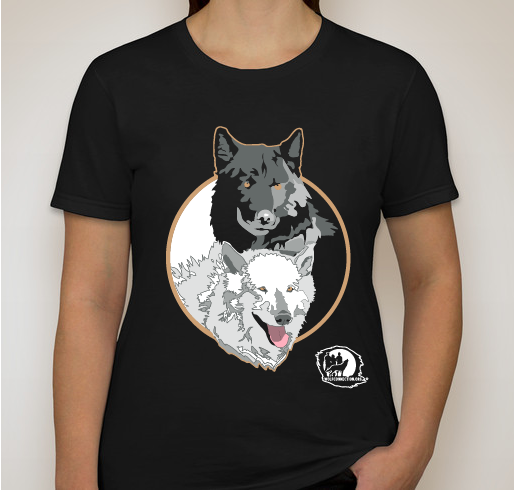 Commemorating the ancestors who blazed the trail for our newest pack members"